This is a DIY tutorial on how to make a heart doily painting. I purchased the heart doilies from the Dollar Tree and it comes in a package of 24 pieces. In the theme of Valentine’s I thought this would make a lovely handmade card for that special someone. This is a project idea my students will do for a Valentine’s theme project to make for their parents and learn about the technique of stenciling. Inside I drew a single letter, but my students will write a letter to their parents. 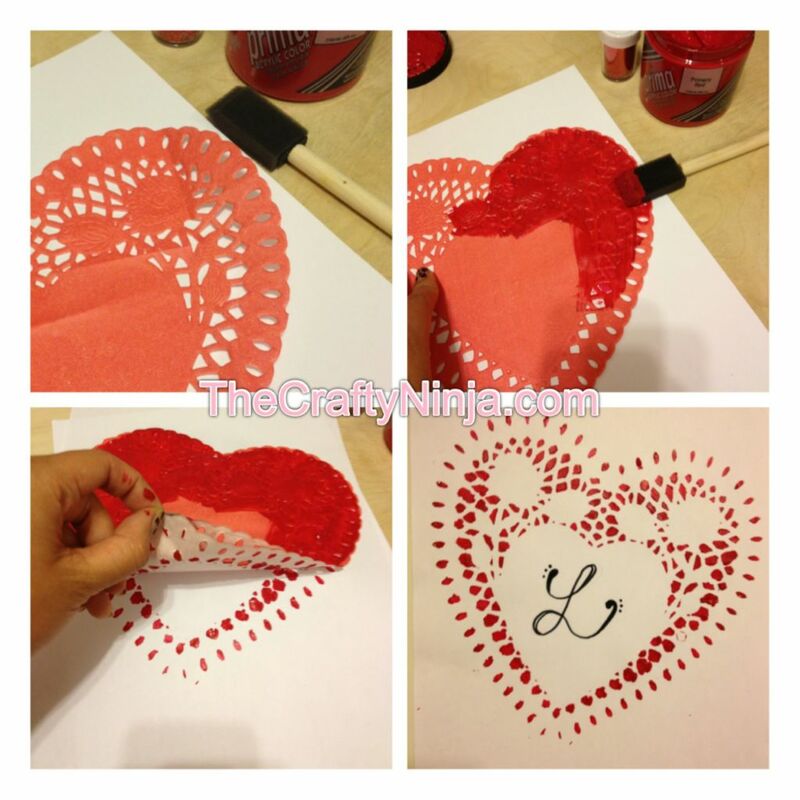 Supplies needed: 8′ Heart Doilies, Red Acrylic Paint, Sponge Brush, Paper.